Made from a high–tenacity Cordura ripstop nylon fabric, this Ultralight Compression Sack 5L is strong and durable. The siliconised coating on the outside of the fabric and PU coating on the inside provides protection from the elements (seams are not taped so not fully waterproof). 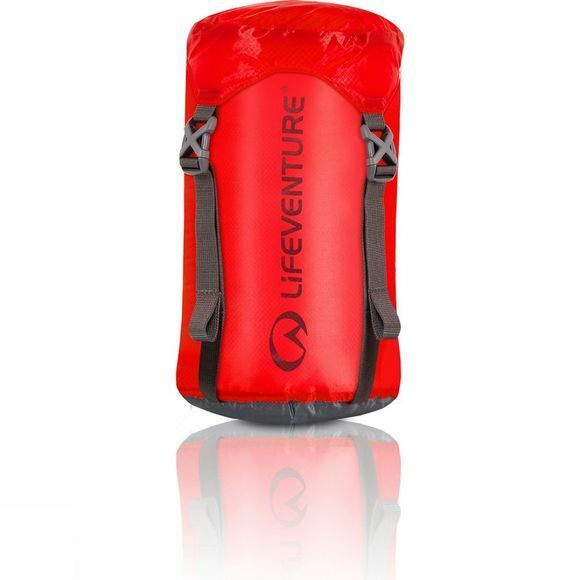 Lifeventure's compression sacks provide space saving solutions by packing and compressing contents to half their size, handy for bulky sleeping bags or clothing and are ideal to help you separate and identify your gear with ease.